The heart is a symbol of Valentine’s Day. Here’s an idea how your kids can show their skills and imagination. 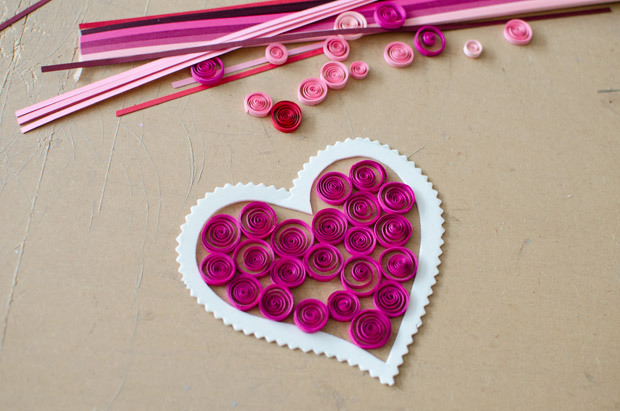 Such a beautiful tender heart can be made of quilled paper. 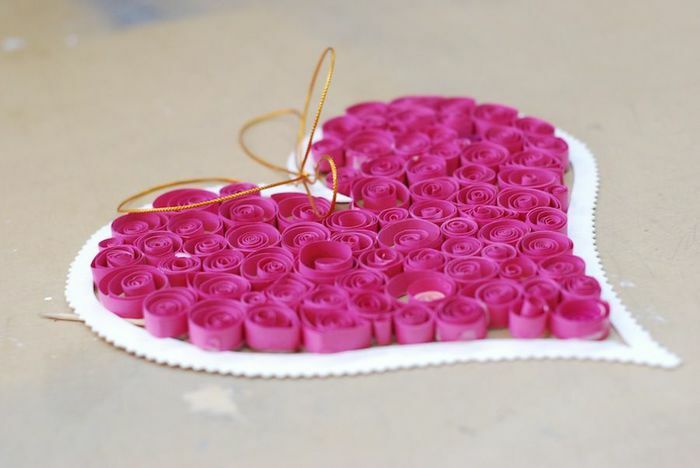 This interesting craft idea for kids is the perfect decoration for a holiday or a sweet Valentine on Valentine’s Day. 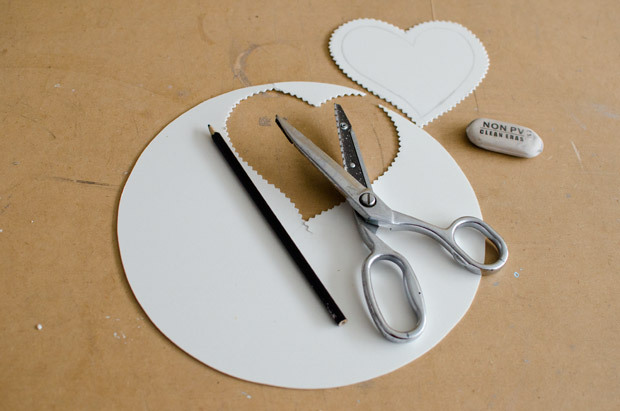 Draw a heart on cardboard and cut along the outer edge with “zigzag” scissors. 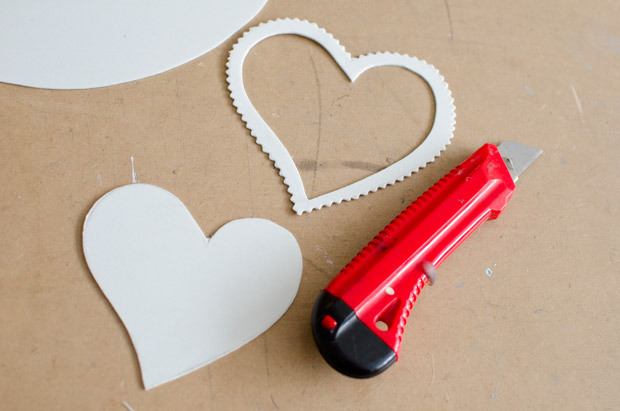 Cut out the inner heart with stationery knife. Frame width should be about 6-7 mm. Then, use a special tool or toothpicks to quill the narrow paper strips. 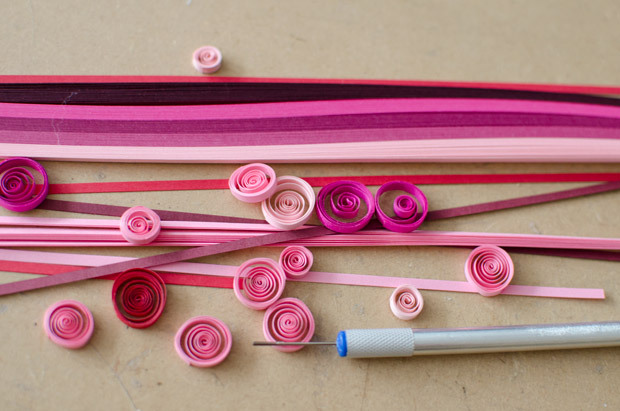 Make different sized spirals to make the design more interesting and beautiful. 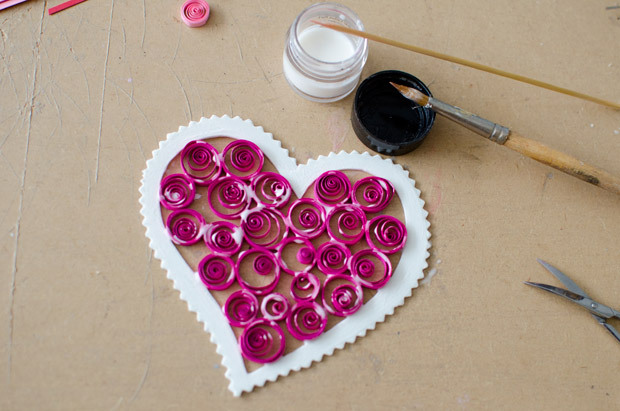 Place the spirals inside the heart and glue them together. 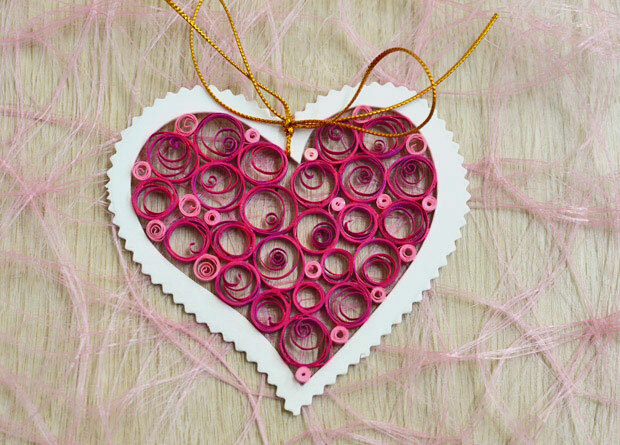 To prevent heart to be broken in pieces, apply white glue between the spirals as well as at the points of contact with the cardboard frame. 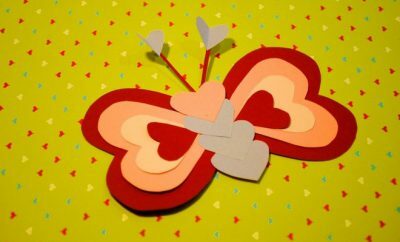 Excess glue can be gently removed with a paper towel. The empty space between the bigger spirals should be filled with small ones, also secured with glue. During drying move carefully the heart several times, making sure that it is not stuck to the table. The finishing touch could be a thin gold ribbon. 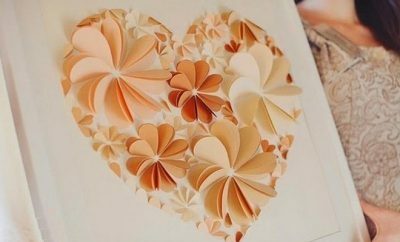 You can also paint the white outline with different color or you can remove it altogether, leaving only the heart made of pink quilled paper. Here it is, we’ve got a delicate openwork heart! 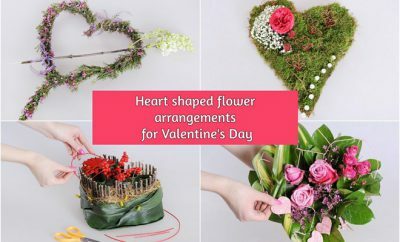 You can decorate your home for the holiday or give it to your loved ones on Valentine’s Day. I wish you all love and happiness!